You save £4.99 that's 5% off! 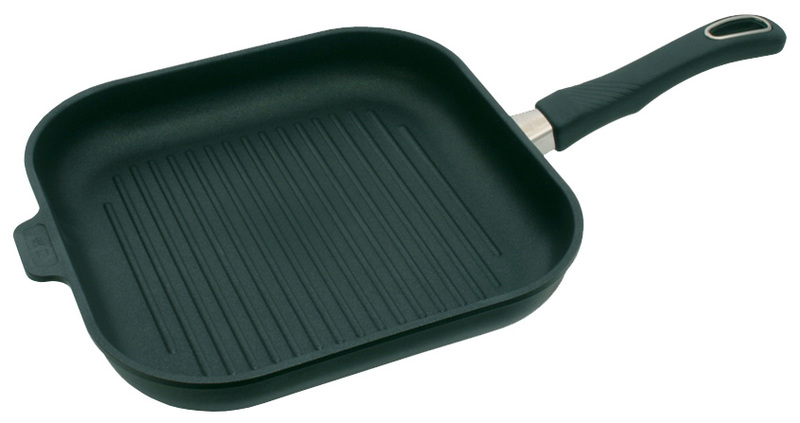 Gastrolux griddle pans are well known in over 25 countries for their unique and durable ”Biotan” non-stick, ceramic, coating, designed for "Healthy fat free cooking" – you can cook without oil; however, you may choose to add a little oil to taste. Ideal for griddling meat, fish, poultry and vegetables..
Eat "Heartsmart™” - Gastrolux Healthy Eating! Make sure your griddle pan is hot before placing food on it, brushing oil directly onto the food rather than onto the pan. If you desire the "criss-cross" effect, turn your meat to a right angle halfway through cooking on each side. Very easy to clean with just a little soap and hot water. Strong & durable alloy base but very light when compared to other pans. 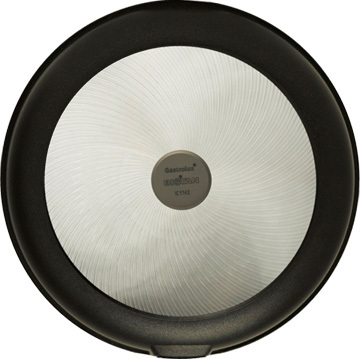 Patented Biotan non-stick coating – Gastrolux non-stick cookware is PFOA and PFOS free – for healthy, fat free cooking. Fixed – rigid handle, oven proof to 260°c. Removable – Patented design; NO SCREWS, RIVETS or LOOSE PARTS. Straight from cooker top to oven and great for easy pan storage. Cookware suitable for gas, electric, halogen solid top and induction surfaces. Use with silicone, wood or smooth metal utensils (no sharp edges or points). Fantastic heat retention means reduced cooking temperature and lower energy bills. Are produced in accordance with good manufacturing practise, meaning that manufacturers are using raw materials and technology in accordance with international standards and guidelines. We have extended the TI test so that it includes tests for flame retardants, phthalates and PFOS. The tests have shown that our products transfer no migration of such ingredients. No other pans have been tested by TI during the last two years (validation time for the certificate). Further more, our Biotan ceramic coating is absolutely free of PFOA.